I recently read (and believe) that experiences we give people can often be more meaningful than tangible gifts. Often, these experiences make lasting impressions that continue to give the recipient joy as they recall the exquisite dinner, the watercolor or calligraphy class, the Saturdays spent at the museum or a trip they had always dreamed of. 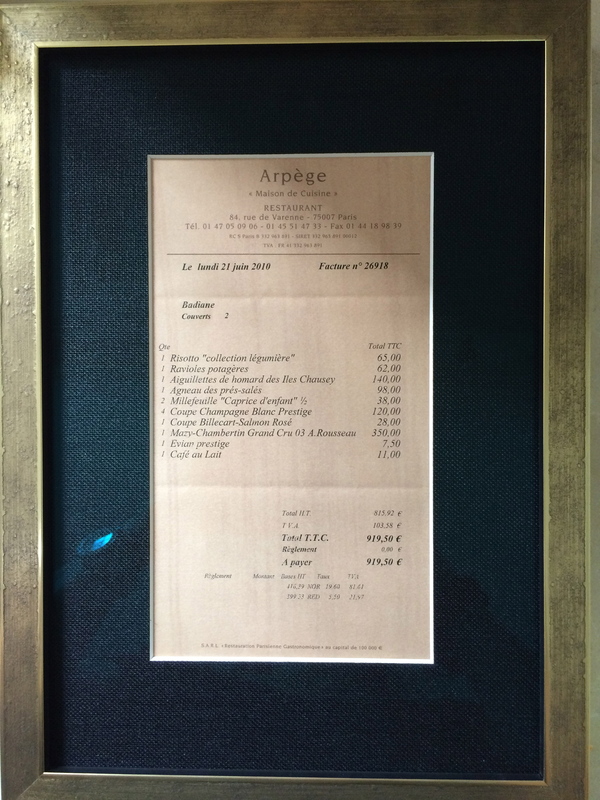 I found this to be true for myself, as I finally got around to framing the receipts of some incredibly special dinners (albeit extravagant ones) at some world renown restaurants. Yes, the food was delicious and the wine divine….but it is in recalling these experiences and the circumstances that surrounded them that continue to bring a smile to my face. 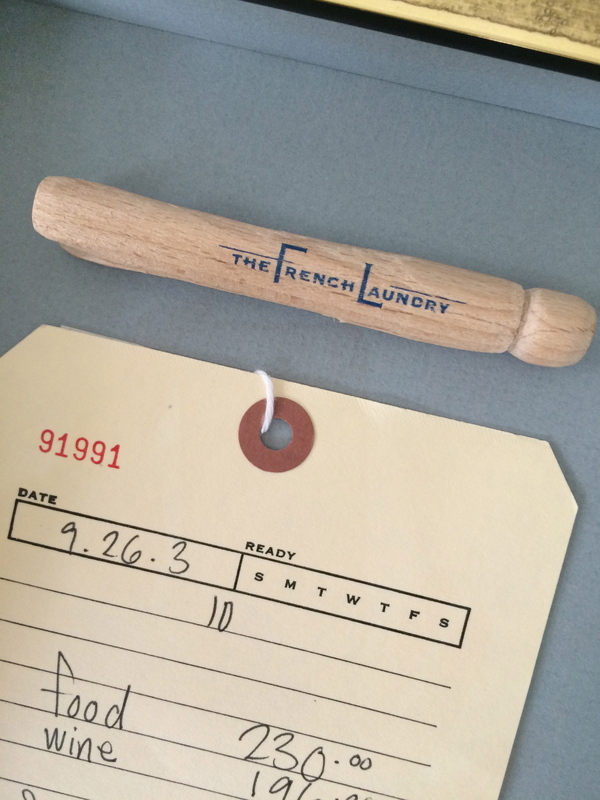 French Laundry in Napa Valley on a work, turned pleasure trip with my husband. 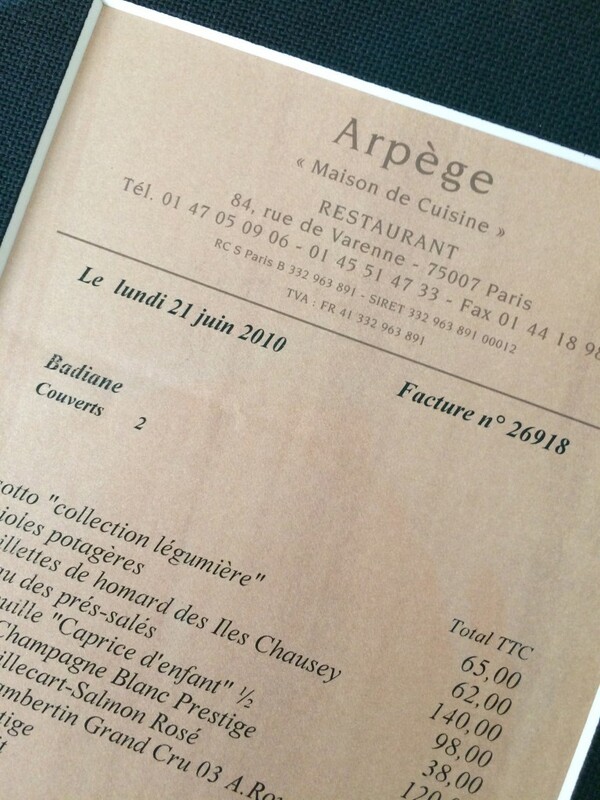 L’Arpege in Paris on my birthday, again with my husband. Dream trips. Wonderful memories. For ideas of experiences that you might want to give someone special, check out this article, 10 Experience Gifts That Keep On Giving. 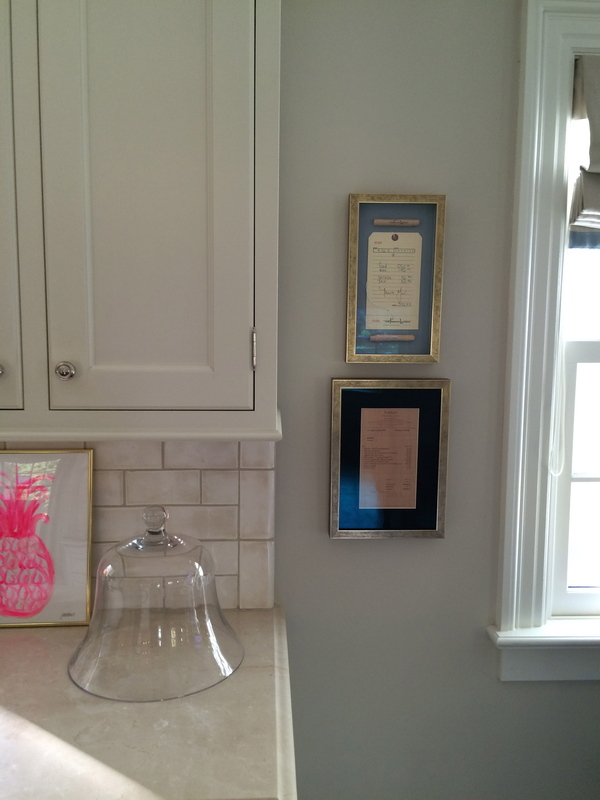 Now, these framed memorabilia hang in my kitchen, as a reminder of meals and experiences that were extraordinary….even as I unload the dishwasher and make another batch of cookies for my kids. Because not every day feels extraordinary, we sometimes need reminders. What’s one of your most memorable experiences? Lovely memories indeed! 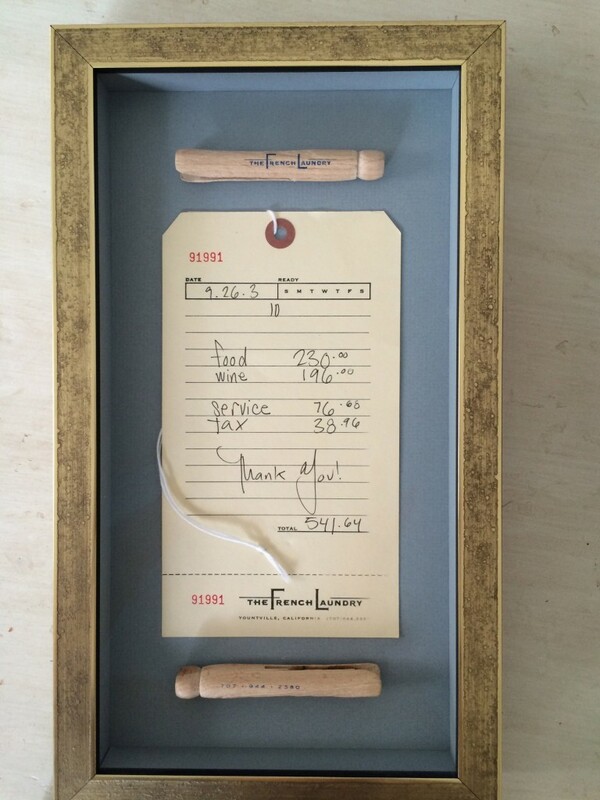 I still have my clothespin from French Laundry clipped to the cookbook but I love the way you framed yours. Enjoy your weekend!